These are the products of additional materials that we carry from Sybai. Each Material has its own uniqueness to it, compliments every fly tying selection. 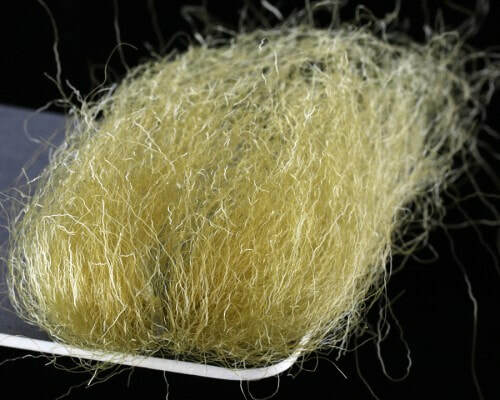 Icelandic Sheep is a very popular hair for streamers. This natural long fiber hair is very easy to work with, and comes in a solid color selection. Tie big for small flies with this amazing natural hair. 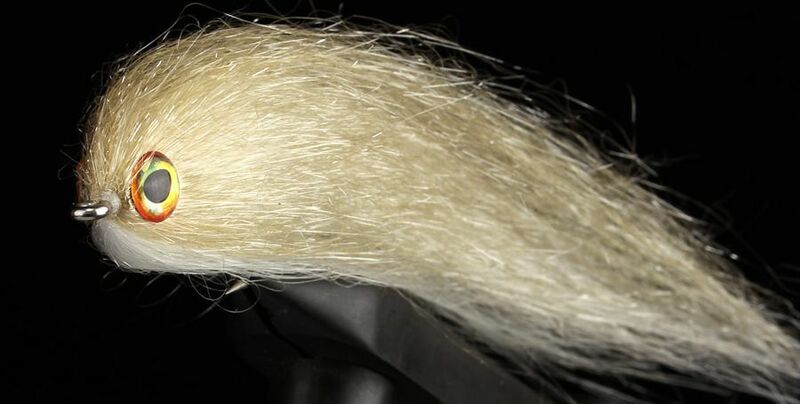 This is Icelandic Sheep hair that has been parted form the leather, and mixed with a pearl flash. The underfur has been removed as well, leaving the long select hair mixed with the flash. Perfect for your big pike and trout flies. Hard Ripple Hair is a perfect bucktail replacement. It is a harder synthetic materials that has some movement. It repels water and makes a great base for any larger fly. New Twist hair is a soft and voluminous hair that is great for streamers and baitfish. 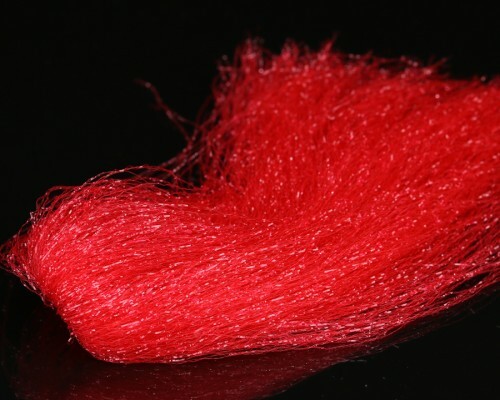 it is a kinked fiber that is very easy to tie with, and makes a softer bucktail replacement. 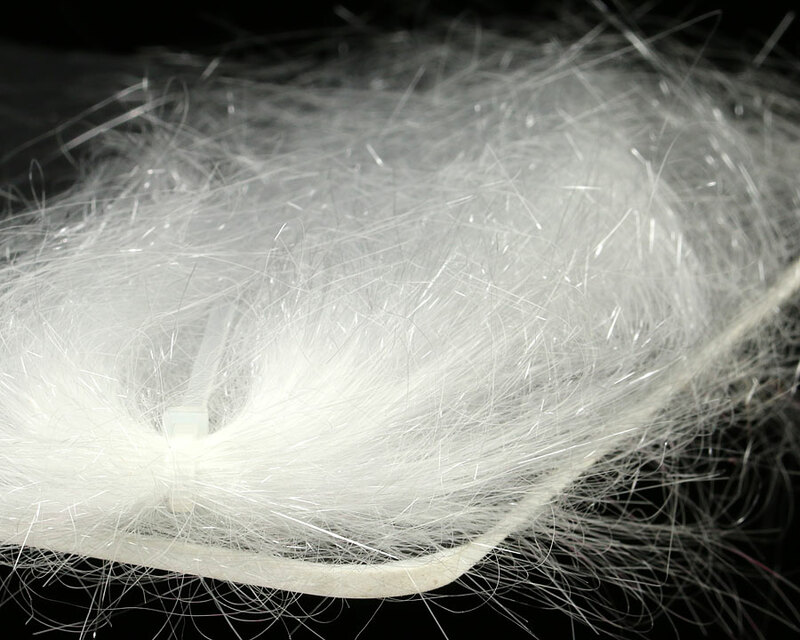 Ghost Hair, a fine long fiber perfect for baitfish patterns. This hair is translucent, and wicks off water very well. Making for a easy to cast fly, with lots of movement, and a color profile that is hard to beat. Not only with salt water fisherman love this, but so will all predatory tiers. Ghost Flash Hair, this is a blend of Ghost Hair and Angle Hair flash. 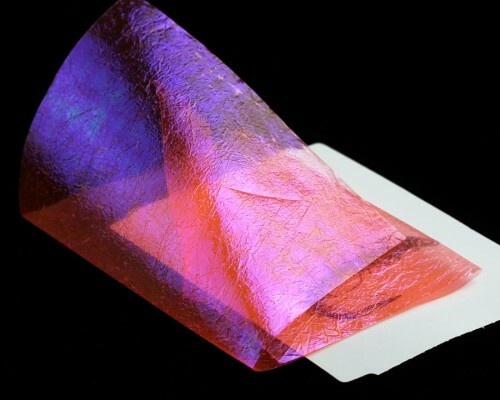 A Mirage-like sheet, Flashback Plus is a perfect material for a bright and shinny shell back. 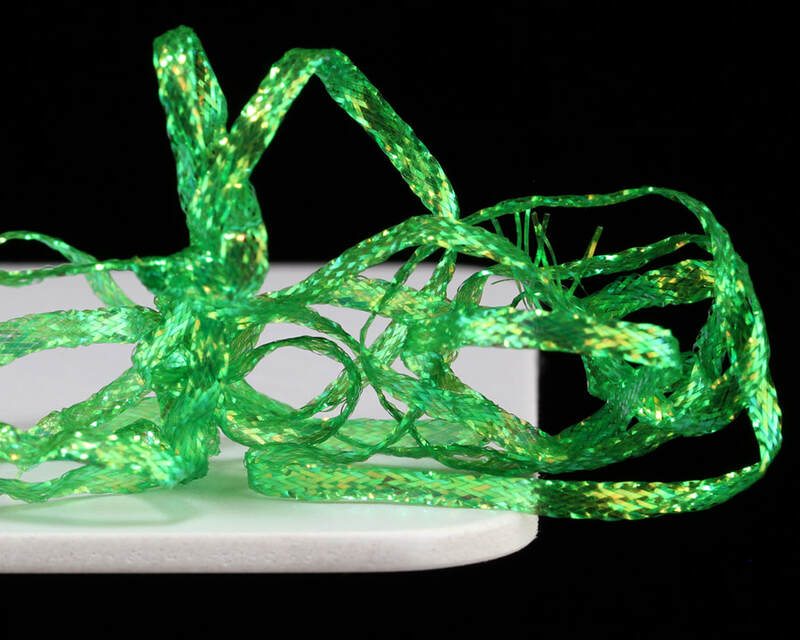 With such a highly-reflective shine, it will brighten up every pattern it's tied onto. This is a pearl flash that is made into a braid. perfect for shell backs and bodies. It also comes in 2 different sizes with a large color list.